Merry Christmas everyone! Spread the cheer and the love! Seasons greetings from your very own UP College of Engineering Library. Library service will resume on January 4, 2011. Introduction to engineering thermodynamics, 2nd ed. Based on their highly successful text, Fundamentals of Thermodynamics, Introduction to Engineering Thermodynamics, 2nd Edition covers both fundamental principles and practical applications in a more student-friendly format. The authors guide students, from readily measured thermodynamic properties through basic concepts like internal energy, entropy, and the first and second laws, up through brief coverage of psychrometrics, power cycles, and an introduction to combustion and heat transfer. Advances in Photogrammetry, Remote Sensing and Spatial Information Sciences: 2008 ISPRS Congress Book provides a comprehensive overview of the progress made in these areas since the XXth ISPRS Congress, which was held in 2004 in Istanbul, Turkey. The volume will be invaluable not only to scientists and researchers, but also to university students and practitioners. Energy absorption behaviour of structures and materials is essential for the selection and design of energy absorbers, the evaluation of crashworthiness, and damage assessment when subjected to an accidental collision. While a great deal of research is currently available on the subject, knowledge is widely scattered. Energy Absorption of Structures and Materials studies this energy absorption in terms of materials engineering, structural mechanics, theory of plasticity and impact dynamics. This book offers basic concepts, methodologies, simple analytical techniques and more in a fluid and practical handbook for researchers interested in energy absorption calculations and design of structures and materials against impact. The Lial series has helped thousands of students succeed in developmental mathematics through its approachable writing style, supportive pedagogy, varied exercise sets, and complete supplements package. With this new edition, the authors continue to provide students and instructors with the best package for learning and teaching support–a book written with student success as its top priority, now with an emphasis on study skills growth and an expanded instructor supplements package. Atomic spectroscopy and mass spectrometry are important tools for identifying and quantifying trace elements in food products-elements that may be potentially beneficial or potentially toxic. The Determination of Chemical Elements in Food: Applications for Atomic and Mass Spectrometry teaches the reader how to use these advanced technologies for food analysis. With chapters written by internationally renowned scientists, it provides a detailed overview of progress in the field and the latest innovations in instrumentation and techniques. Food and Agricultural Wastewater Utilization and Treatment focuses on the cost-effective treatment technologies specific for food and agriculture wastewater and possible economical recovery of valuable substances from wastewater during common food processing and postharvest operations using innovative technologies. The technologies included in the book are not a mere collection of all known relevant technologies. Instead, priority consideration is given to those technologies that can not only solve the environmental problem of wastewater disposal but also reduce the wastewater management cost in the long run for food and agriculture industries. The book combines past decades of research on food and agricultural wastewater issues with an abundance of emerging research on innovative separation technologies to separate biological molecules from complex biological systems. Food technologists as well as environmental and agricultural engineers/scientists will find Food and Agricultural Wastewater Utilization and Treatment invaluable in their quest of improving food and agricultural wastewater management. This introductory textbook covers all aspects of catalysis. It also bridges computational methods, industrial applications and green chemistry, with over 700 references. The author, a renowned researcher in catalysis, teaches scientific writing as well as chemistry. This makes him the ideal person to write such a textbook. The effectiveness of his practical approach has been well proven in courses for undergraduates and graduates (in 2007 he was voted “lecturer of the year” by the chemistry students). 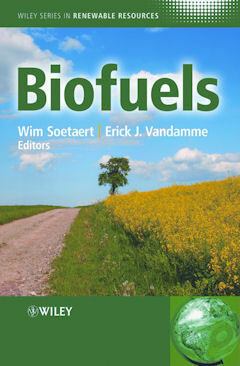 This book gives a broad overview of the key topics in this field of study, approaching them from a technical and economic angle giving the reader a comprehensive insight into biofuels as a whole. Dealing specifically with liquid and gaseous biofuels that can be produced from renewable resources this text also gives a summary of the past, present and future production technologies and applications of biofuels. All the regulatory requirements associated with the handling, clean-up and storage of hazardous materials (HAZWOPER) are brought together in this reader friendly book. Revisions to this edition include expanded regulations for dealing with an intentional release of a hazardous material in a terrorist incident, as well as pre-emergency plans for hazardous materials operations and response programs needed to effectively deal with natural disasters. Considered by many as an authoritative, comprehensive guide to Hazmat operations, this book examines OSHA regulations, risk evaluation, incident management, hazardous site operations, and more in order to effectively train hazmat responders. Transport Phenomena in Biological Systems 2nd ed. The book consists of four sections, which cover physiological fluid mechanics, mass transport, biochemical interactions and reactions and the effect of mass transfer, and transport in organs and whole organisms. In order to provide students with a firm understanding of biological transport processes, engineering concepts are provided within the context of specific biological problems. Examples and problems elaborate on the concepts in the text or develop new concepts. The introductory chapter presents a brief overview of transport processes at the cell and tissue level and relevant concepts in cell biology and physiology are presented throughout the text. An appendix provides an overview of relevant mathematical concepts used in the text. The problems at the end of each chapter require either analytical solution or numerical solution using MATLAB. Chemical thermodynamics : basic concepts and methods, 7th ed. 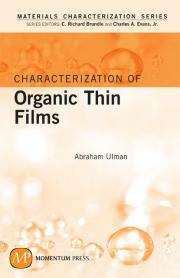 While thoroughly revised and updated, the text’s fundamental objectives remain unchanged: to present the foundations and interrelationships of thermodynamics and to enable students to apply basic concepts in solving problems typically encountered by chemists, biologists, geologists, and materials scientists. Moreover, the text continues to maintain a logical unity throughout by focusing on the laws of classical thermodynamics and applications to gases, solutions, phase equilibria, and chemical equilibria. Many of the devices and systems used in modern industry are becoming progressively smaller and have reached the nanoscale domain. Nanofabrication aims at building nanoscale structures, which can act as components, devices, or systems, in large quantities at potentially low cost. Nanofabrication is vital to all nanotechnology fields, especially for the realization of nanotechnology that involves the traditional areas across engineering and science. This is the first book solely dedicated to the manufacturing technology in nanoscale structures, devices, and systems and is designed to satisfy the growing demands of researchers, professionals, and graduate students. This book covers all aspects of bioavailability, as related to environmental contaminants. After a discussion of the definition of bioavailability and its context, focus is placed on the role of risk assessment and bioavailability. Methods of analysis are then discussed including a range of atomic spectroscopic and electrochemical techniques for metal analysis and chromatographic approaches for persistent organic pollutants (POPs). The occurrence, properties and eco-toxicity of POPs and metals in the soil/sediment environment are discussed. Particular emphasis is placed on the uptake of POPs and metals by plants (phytoextraction). Examples of POPs and metals in the environment are reviewed. Written in a clear, concise style, Principles of Chemical Engineering Processes provides an introduction to the basic principles and calculation techniques that are fundamental to the field. The text focuses on problems in material and energy balances in relation to chemical reactors and introduces software that employs numerical methods to solve these problems. New chemical compounds are constantly being created to meet specific industrial applications and for human uses. Release of these compounds into the environment is inevitable and their contamination of natural resources, as well as their effect on human health, remain an important global ecological concern. Many compounds degrade in the presence of various natural processes, so there is a need to understand whether new compounds will persist in the environment or will eventually break down innocuously. 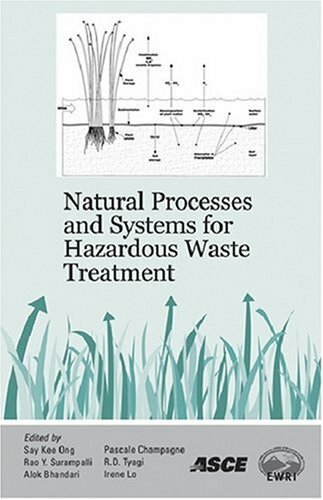 Natural Processes and Systems for Hazardous Waste Treatment discusses the various natural processes for the attenuation and degradation of hazardous compounds and these processes application in inexpensive natural systems. Solar Power in Building Design is a complete guide to designing, implementing, and auditing energy-efficient, cost-effective solar power systems for residential, commercial, and industrial buildings. From basic theory through project planning, cost estimating, and manufacturing methods, this vital resource offers you everything needed for solar power design success. This much-needed critical review of the main monitoring techniques conveys profound knowledge of their fundamentals, possibilities and limits, strengths and weaknesses when applied to membrane processes, clearly demonstrating which technique is most suitable for a given process. A practical approach is adopted throughout, providing case studies for the monitoring of selected membrane-based processes. A Basic Introduction to Pollutant Fate and Transport fills the need for a basic instructional tool for students and environmental professionals who lack the rigorous mathematical background necessary to derive the governing fate and transport equations. Taking a refreshingly simple approach to the subject that requires only a basic knowledge of algebra and first-year college chemistry, the book presents and integrates all of the aspects of fate and transport, including chemistry, modeling, risk assessment, and relevant environmental legislation; approaching each topic first conceptually before introducing the math necessary to model it. Water-Resources Engineering provides comprehensive coverage of hydraulics, hydrology, and water-resources planning and management. 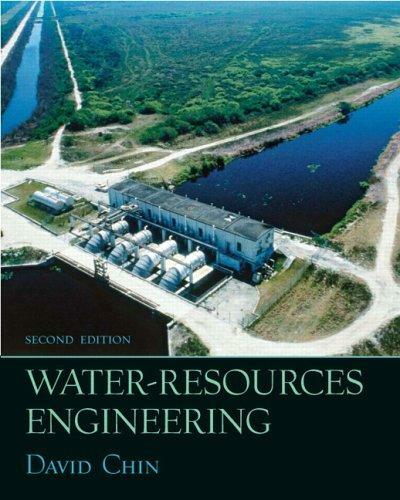 Presented from first principles, the material is rigorous, relevant to the practice of water resources engineering, and reinforced by detailed presentations of design applications. In any production environment, discrete event simulation is a powerful tool for the analysis, planning, and operating of a manufacturing facility. Operations managers can use simulation to improve their production systems by eliminating bottlenecks, reducing cycle time and cost, and increasing capacity utilization. This book offers a hands-on tutorial on how to model traditional applications to optimize production operations. Design of Biomedical Devices and Systems, 2nd ed. Analyzing product conception through to delivery in actual industry examples, Design of Biomedical Devices and Systems considers issues in the industrial design process exactly as they would arise in real-world applications, divulging valuable trade secrets within topics like materials selection, safety, prototyping, premarket testing and validation, liability, and learning from failure. The authors discuss product definition, development, marketing, verification, and validation; elucidate the QFD process, and address engineering licensure and codes of ethics. They also introduce new concepts in hardware and software design, including the use of computer tools to predict and document safety-related design issues. 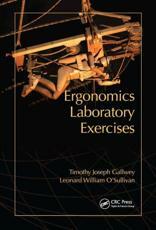 Bodyspace: Anthropometry, Ergonomics and the Design of Work, 3rd ed. Advanced Transport Phenomena is ideal as a graduate textbook. It contains a detailed discussion of modern analytic methods for the solution of fluid mechanics, and heat and mass transfer problems, focusing on approximations based upon scaling and asymptotic methods, beginning with the derivation of basic equations and boundary conditions and concluding with linear stability theory. Also covered are unidirectional flows, lubrication and thin-film theory, creeping flows, boundary layer theory, and convective heat and mass transport at high and low Reynolds numbers. The emphasis is on basic physics, scaling and non-dimensionalization, and approximations that can be used to obtain solutions due either to geometric simplifications, or large or small values of dimensionless parameters. The author emphasizes setting up problems and extracting as much information as possible short of obtaining detailed solutions of differential equations. The book is also focused on the solutions of representative problems. This reflects the author’s bias toward learning to think about the solution of transport problems. The Engineering Guide to LEED-New Construction provides a solid understanding of the U.S. Green Building Council’s LEED-NC rating system, explaining step-by-step how to apply it to real-world construction projects. Silberberg’s “Principles of General Chemistry” offers students the same authoritative topic coverage as its parent text, “Chemistry: The Molecular Nature of Matter and Change”. “The Principles” text allows for succinct coverage of content with minimal emphasis on pedagogic learning aids. 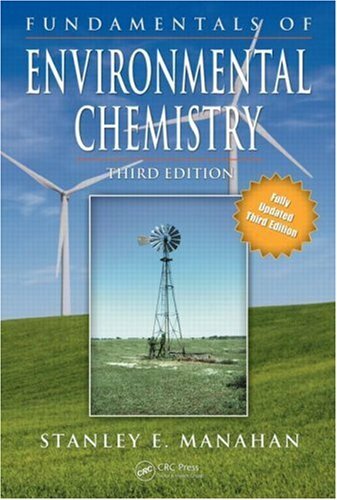 Fundamentals of Environmental Chemistry, 3rd ed. The dynamic behaviour of bridges strongly affects the infrastructure system of high-speed railways, and is a crucial factor in safety issues and passenger comfort. This comprehensive textbook, now in its sixth edition, combines classical and matrix-based methods of structural analysis and develops them concurrently. New solved examples and problems have been added, giving over 140 worked examples and more than 400 problems with answers. Building on undergraduate students’ backgrounds in mathematics, science, and engineering, Introduction to the Physics and Chemistry of Materials provides the foundation needed for more advanced work in materials science. 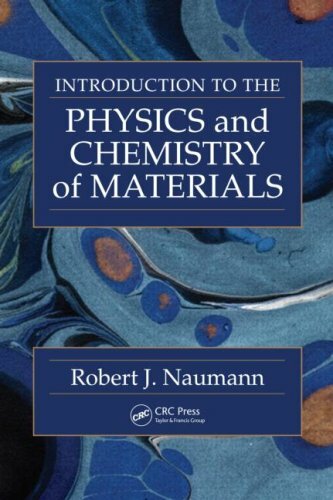 Ideal for a two-semester course, the text focuses on chemical bonding, crystal structure, mechanical properties, phase transformations, and materials processing for the first semester. The material for the second semester covers thermal, electronic, photonic, optical, and magnetic properties of materials. Introduction to Surface Chemistry and Catalysis, 2nd ed. Since the publication of the first edition of this book, molecular surface chemistry and catalysis science have developed rapidly and expanded into fields where atomic scale and molecular information were previously not available. This revised edition of Introduction to Surface Chemistry and Catalysis reflects this increase of information in virtually every chapter. It emphasizes the modern concepts of surface chemistry and catalysis uncovered by breakthroughs in molecular-level studies of surfaces over the past three decades while serving as a reference source for data and concepts related to properties of surfaces and interfaces. This information packed text and reference book introduces mathematical models for describing microstructural phenomena. The teaching method of the book is enhanced with solved problems. Each chapter has exercises complemented with notes, hints, and answers, and references important literature. This solid background in computational thermodynamics will allows the material scientist and material designer to use computational methods to develop new materials by modeling phase equilibia, molecular structure, and dynamics. This text allows instructors to teach a course on heat and mass transfer that will equip students with the pragmatic, applied skills required by the modern chemical industry. This new approach is a combined presentation of heat and mass transfer, maintaining mathematical rigor while keeping mathematical analysis to a minimum. This allows students to develop a strong conceptual understanding, and teaches them how to become proficient in engineering analysis of mass contactors and heat exchangers and the transport theory used as a basis for determining how critical coefficients depend upon physical properties and fluid motions. Students will first study the engineering analysis and design of equipment important in experiments and for the processing of material at the commercial scale. 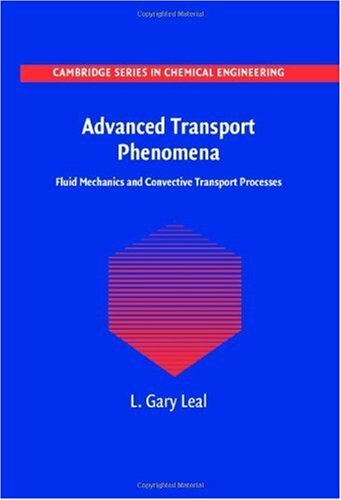 The second part of the book presents the fundamentals of transport phenomena relevant to these applications. A complete teaching package includes a comprehensive instructor’s guide, exercises, case studies, and project assignments. The physical framework used to describe the various conversions is endoreversible thermodynamics, a subset of irreversible thermodynamics. Thermodynamics of Solar Energy Conversion provides an excellent generalized introduction into principles of solar energy conversion for everybody knowing some basics of university mathematics. Described are situations which are not in equilibrium and in which entropy is continuously created, but which are nevertheless stationary. 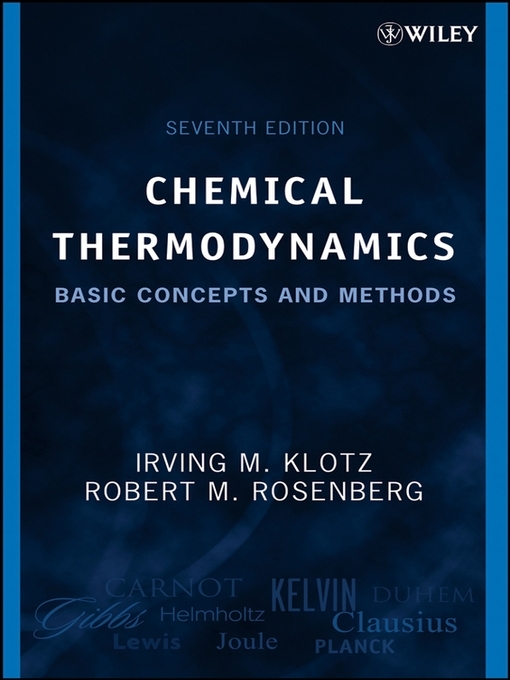 In dealing with endoreversible thermodynamics, the given information in this book enables the reader to calculate the explicit values for a broad class of processes. It is demonstrated that solar energy conversion is a process particularly suited to being described in this way. Connecting undergraduate students with global problems, Rebecca Richard-Kortum examines the interplay between biomedical technology design and the medical, regulatory, economic, social and ethical issues surrounding global health. Driven by case studies, including cancer screening, imaging technologies, implantable devices and vaccines, students learn how the complexities and variation across the globe affect the design of devices and therapies. A wealth of learning features, including classroom activities, project assignments, homework problems and weblinks within the book and online, provide a full teaching package. For visionary general science and biomedical engineering courses, this book will inspire students to engage in solving global issues that face us all. Place of Publication Stevenson Ranch, Calif.
Functional Nanomaterials is the first and unique compilation of the state-of-the-art review chapters covering all aspects of functional nanomaterials and their applications. Nanotechnology has led to a profound paradigm shift after the developments in recent years and after being classified as one of the most important areas of impending technology by the U.S. government. Novel functional nanomaterials are the basis of newly emerging nanotechnologies for various device applications. As this book makes clear, civilization cannot long continue to ride on an oil slick. Worldwide, many people have come to see dependence on coal, and especially on oil, not only as unsustainable, but as profoundly destabilizing, both environmentally and politically. While ever-increasing demands continue to be placed on “mainstream” energy sources, recurring attempts have been made to generate power in “alternative” ways. This book examines hydroprocessing technologies that, driven by the demand for higher performance in finished lubricants, have transformed processing treatments throughout the industry. 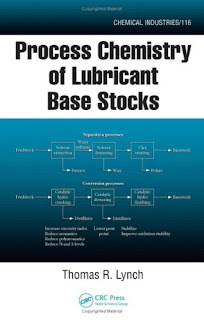 The author relates the properties of base stocks to their chemical composition and describes the process steps used in their manufacture. The book highlights catalytic processes, including hydrocracking, hydrofinishing, and catalytic dewaxing. It also covers traditional solvent-based separation methods used to remove impurities, enhance performance, and improve oxidation resistance. The final chapters discuss the production of Food Grade white oils and paraffins and the gas-to-liquids processes used to produce highly paraffinic base stocks via Fischer-Tropsch chemistry. The book introduces the basics of toxicology from a risk assessment perspective, using a jargon-free, journalistic style that makes scientific concepts accessible to a wide audience without “dumbing down” the science. It covers the fate and transport of chemicals in the environment, dose-effect, animal toxicity testing, human epidemiology, the uptake, distribution, and elimination of toxic chemicals including first-order rate constants and calculations of body burdens, and the cellular basis of cancer and other diseases that can be caused by toxic chemicals. The book also introduces risk management and discusses the balance between precaution and socio-economic benefits, as embodied by the Toxic Substances Control Act, the Canadian Environmental Protection Act, and the European Union’s innovative REACH directive (Registration, Evaluation, Authorization, and Restriction of chemicals). Drawing on the expertise of internationally known, interdisciplinary scientists and researchers, Food Colorants: Chemical and Functional Properties provides an integrative image of the scientific characteristics, functionality, and applications of color molecules as pigments in food science and technology, as well as their impact on health. The book emphasizes the structure-function relationships of pigment molecules to explain biosynthesis, modifications and degradation during storage and processing, and the effect of these changes on quality and safety. Understanding the rate and nature of degradation assists in selecting optimum processing parameters. Although nanotechnology is a hot topic, the search for a true introductory textbook usually comes up cold. Students in a first course on nanotechnology come from a wide variety of backgrounds, so the text must not assume understanding of too much background material, nor be too focused on any particular area. And still, those students are capable of understanding the hard details of the science, so the text must not gloss over the rigorous scientific explanations. Nanotechnology: Understanding Small Systems fits perfectly between popular science books and high-level treatises, neither of which suit the needs of students approaching this field for the first time. In an age of unprecedented proliferation of data from disparate sources the urgency is to create efficient methodologies that can optimise data combinations and at the same time solve increasingly complex application problems. 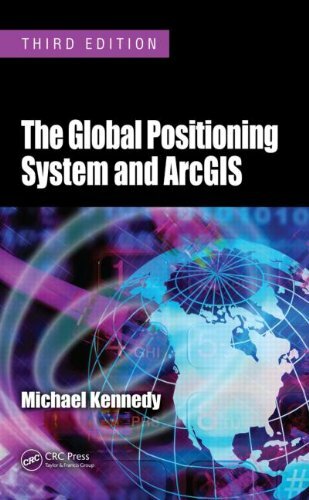 Integration of GIS and Remote Sensing explores the tremendous potential that lies along the interface between GIS and remote sensing for activating interoperable databases and instigating information interchange. It concentrates on the rigorous and meticulous aspects of analytical data matching and thematic compatibility – the true roots of all branches of GIS/remote sensing applications. However closer harmonization is tempered by numerous technical and institutional issues, including scale incompatibility, measurement disparities, and the inescapable notion that data from GIS and remote sensing essentially represent diametrically opposing conceptual views of reality. 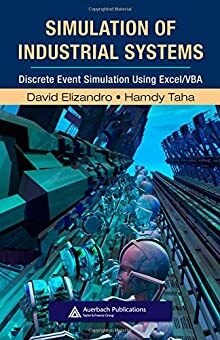 An Engineer’s Guide to MATLAB with Applications from Mechanical, Aerospace, Electrical, Civil, and Biological Systems Engineering, 3rd ed. Product and Process Design Principles: Synthesis, Analysis and Design, 3rd ed. A principal objective of this textbook is to describe and model modern strategies for the design of chemical products and processes, with an emphasis on a systematic approach. This third edition expands upon the strategies for product design, beginning with the need for a project charter, followed by the creation of an innovation map in which potential new technologies are linked to consumer needs. Then, it focuses on the Stage-GateTM Product-Development Process (SGPDP) for the design of basic, industrial, and configured consumer chemical products. Six new case studies have been added to illustrate these product design strategies. Expanding on the ideas first presented in Gerhard Ertl’s acclaimed Baker Lectures at Cornell University, Reactions at Solid Surfaces comprises an authoritative, self-contained, book-length introduction to surface reactions for both professional chemists and students alike. Colloid Science: Principles, Methods and Applications 2nd ed. An impressive collection of 62 technical papers recounting the eruption of Mo Pinatubo in 1991 and its aftermath. The contributors reflect the international cooperation exhibited during the eruption (ten times larger than Mount St. Helens) and explore the precursors, processes, and products of the eruption. The Student’s Introduction to MATHEMATICA : A Handbook for Precalculus, Calculus, and Linear Algebra, 2nd ed. The unique feature of this compact student’s introduction is that it presents concepts in an order that closely follows a standard mathematics curriculum, rather than structure the book along features of the software. As a result, the book provides a brief introduction to those aspects of the Mathematica software program most useful to students. The second edition of this well loved book is completely rewritten for Mathematica 6 including coverage of the new dynamic interface elements, several hundred exercises and a new chapter on programming. This book can be used in a variety of courses, from precalculus to linear algebra. Used as a supplementary text it will aid in bridging the gap between the mathematics in the course and Mathematica. In addition to its course use, this book will serve as an excellent tutorial for those wishing to learn Mathematica and brush up on their mathematics at the same time. This book provides practical data and know-how on the design, application, specification, purchase, operation, troubleshooting, and maintenance of pumps of every type. It is an essential working tool for engineers in a wide variety of industries, all those who are pump specialists, in addition to those who need to acquaint themselves with pump technology. Because of the ubiquitous nature of environmental problems, a variety of scientific disciplines are involved in the development of environmental solutions. The Handbook of Chemical and Environmental Engineering Calculations provides approximately 600 real-world, practical solutions to environmental problems that involve chemical engineering, enabling engineers and applied scientists to meet the professional challenges they face day-to-day. 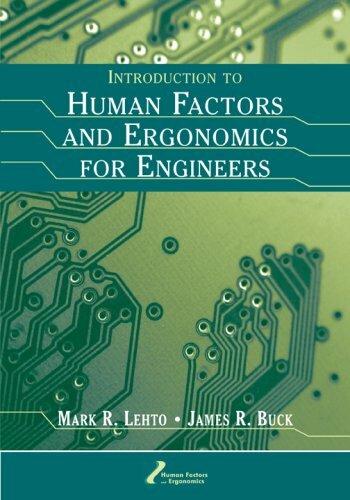 A complete resource, this handbook presents current knowledge on concepts and methods of human factors and ergonomics, and their applications to help improve quality, safety, efficiency, and effectiveness in patient care. It provides specific information on how to analyze medical errors with the fundamental goal to reduce such errors and the harm that potentially ensues. Editor Pascale Carayon and an impressive group of contributors highlight important issues relevant to healthcare providers and professionals and their employers. They discuss the design of work environments and working conditions to improve satisfaction and well-being, and the reduction of burnout and other ailments often experienced by healthcare providers and professionals. It is a remarkably comprehensive account offering readers invaluable knowledge from individuals who are some of the most respected in the field. This handbook features contributions from a team of expert authors representing the many disciplines within science, engineering, and technology that are involved in pharmaceutical manufacturing. They provide the information and tools you need to design, implement, operate, and troubleshoot a pharmaceutical manufacturing system. The editor, with more than thirty years’ experience working with pharmaceutical and biotechnology companies, carefully reviewed all the chapters to ensure that each one is thorough, accurate, and clear. EEEI student Prem Vilas Fortran M. Rara recently donated 27 volumes of books and journals to the Engineering Library II. This is Mr. Rara’s second time to donate to the library this semester. His earlier donations consisted of 19 volumes of mostly EEE titles. He has been a most generous friend to the library. Another generous but anonymous EEEI graduate also donated 8 titles to the library. The following is a breakdown of the donated books as assigned to the different sections of the library. 1. Solid state pulse circuits / David A. Bell. 4th ed. c1992. 2. Communication systems : an introduction to signals and noise in electrical communication / A. Bruce Carlson, Paul B. Crilly, Janet C. Rutledge. 4th ed. c2002. 3. Elements of power system analysis / William D. Stevenson, Jr. 4th ed. c1982. 1. Design and analysis of algorithms : an introduction / Eliezer A. Albacea. 3rd ed. 2007. 2. Computer networking : a top-down approach featuring the Internet / James F. Kurose, Keith W. Ross. 2nd ed. c2003. 3. Communication systems engineering / John G. Proakis, Masoud Salehi. 2nd ed. c2002. 4. Principles of communication : systems, modulation, and noise / R.E. Ziemer, W.H. Tranter. 5th ed. c2002. 5. Electric machinery fundamentals / Stephen J. Chapman. 3rd ed. c1999. 6. Feedback control systems / Charles L. Phillips, Royce D. Harbor. 2nd ed. c1991. The Engineering Library II will be closing early today, at 4:00 pm. Staff will be joining the Engineering Week Parade which will commence at 4:30 pm at the Melchor Hall steps. Faculty and students are advised to maximize the availability of full-text access to ScienceDirect’s Freedom Collection by downloading as much journal articles as they can for on-going researches. Access to the Freedom Collection, which is composed of all electronic journal titles published from 1997-2010, will expire this December 2010.